Is it cold outside? If yes, it’s time to get warm and find a couple of comfy sweaters to go everywhere including work. If your office doesn’t have a strict dress code, a sweater is a great item to wear in the fall and winter and you’ll feel super cozy in the office. 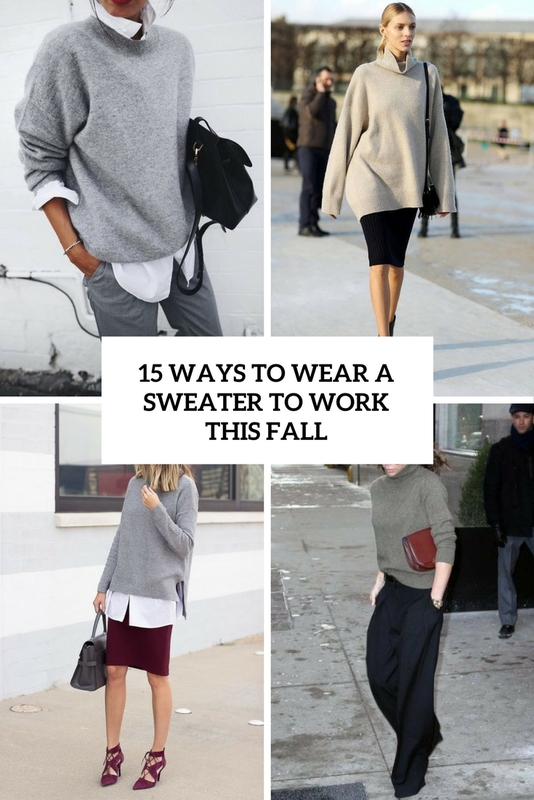 Here are some ideas for you to rock a sweater to work and look super stylish. 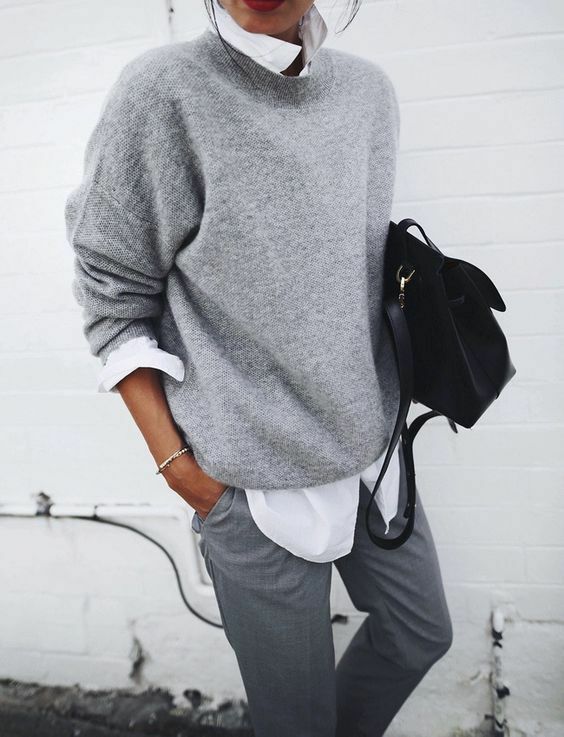 Wear your favorite sweater with pants or culottes to work, and put a white shirt under the sweater. A pair of heels and a stylish bag – and voila, you are ready to go! Don’t forget that textures should coordinate somehow – your pants should be made of rather thick fabric to wear them with pants. If it’s a casual Friday, you can wear jeans and maybe slipons with a sweater. Wearing a slouchy sweater with a skirt is a super chic and popular idea, and if your work allows, rock this combo there. It can be a knee or a midi skirt of some cool fall color or some neutral basic shade, and the sweater can be cropped or oversized and slouchy. A pair of booties and a white shirt under a cropped piece – and you’ll feel comfy and look amazing!